Here at NAC we receive plenty of email and music from artists who are in need of the career advancing bump. To be honest, some are good, some need to work a tad harder, and then some draw you back to repeat listens. When my Friday mail package hit the door stop, the bulky mail from Lancaster, OH had my attention. I read the obligatory bio, glanced at the fan photo and stashed the CD, with the firm intention of listening later. Later has come. To save the weary and those who hate long reviews, I’ll stick two thumbs high and tell you Church is highly listenable. On his album Falling, Church infuses his stylised “retro” trademark across 12 tracks of polished favourites. There’s no lack of confidence in Church’s voice, as it plays out clear, emotive and country. Armed with a seasoned band, including legendary Jeff “Stick” Davis of Amazing Rhythm Aces fame, along with the background harmony of wife Terri, the album nails my interest. Standout classics like “Saginaw Michigan” and the mellowed tale of the “Long Black Veil” stand tall against personal likes. “A Dime at a Time” (Jerry Chesnut/ Bruce Dottie) is a made-for –Saturday- night twirl, driven by the leading pace of twang-fuelled guitars and rocky fiddle – it’s tailor-made for its destination: the corner jukebox. But it’s on the album’s signature tune “The Old Red White & Blue,” Church shares his long honed talents. Church – a veteran of decades of independent releases and RFD-TV’s Midwest Country – taps sentiment and patriotism in equal measure. The tune pays rightful homage to those who’ve served their country proud, leaving us with a legacy that inspires and challenges. 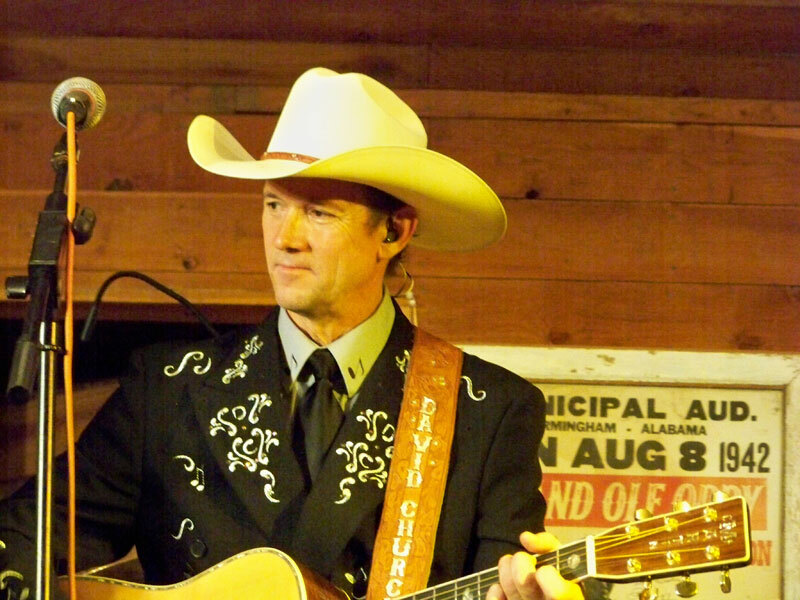 By his own admission David Church doesn’t ride the Nashville treadmill, or fit the planned mould for stardom.